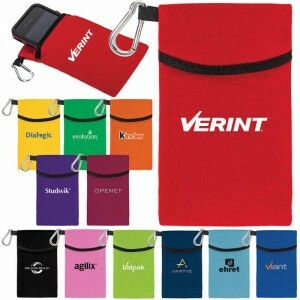 Smart phones are everywhere and your brand should be also! The EUQ3110 Kangaroo Tech Pouch can make that happen. This polyester and foam blend cushions and protects and the bright silver carabiner makes it a great accessory for backpack, purse or belt loop. 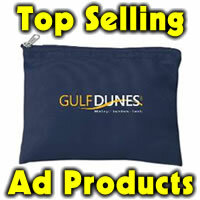 Great for tech related tradeshow, golf tournaments and more. Available in: Black, blue, navy blue, Carolina blue, green, lime green, orange, pink, purple, red, merlot red, yellow. Pouch is 6″ x 3 1/2″ x 1/4″ and the imprint area is 2 1/2″h x 2 1/4″w heat transfer. Min 500 at 69 cents with a 55.00 set up. You can read more about this on CutterWelderMaestro.